Today we're showing and telling about our favorite blog posts and I've had the best time going back through my first posts as well as looking at numbers and seeing what posts everyone else has really enjoyed. 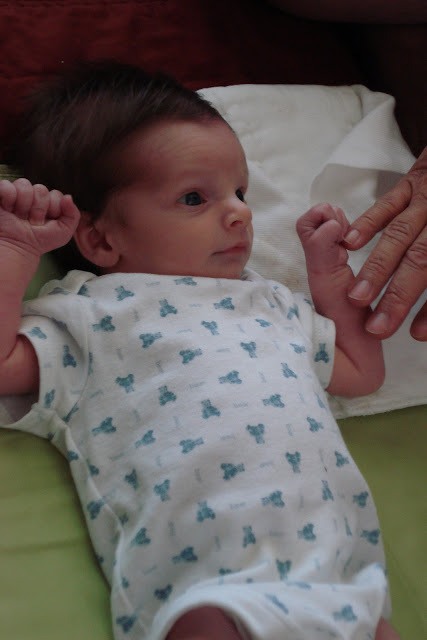 I started this blog as a way to keep my family in Canada in the loop with our soon-to-be adventure into parenthood and some of my early posts are a few of my favorites :) For some reason this post about Luke being three weeks old gets me every time. It was nothing special and the pictures aren't anything to write home about - but that day seriously feels like it was yesterday. Being first-time parents was so incredibly overwhelming and I remember always feeling like I could exhale when we would go hang out at my parents house. Another favorite post of mine is this one where we had JUST moved into our new house (the one we just moved from). The excitement of getting to start over in what we thought would be our house for a REALLY LONG time was palpable and I love how many memories we ended up making in that house! I love this post from the summer that Mason was born because it so summed up a typical day for me during that sweet time. A few of my recipes have been really popular including my mom's recipe for faux quiche and this post with the EASIEST ice cream dessert ever and chicken spaghetti. 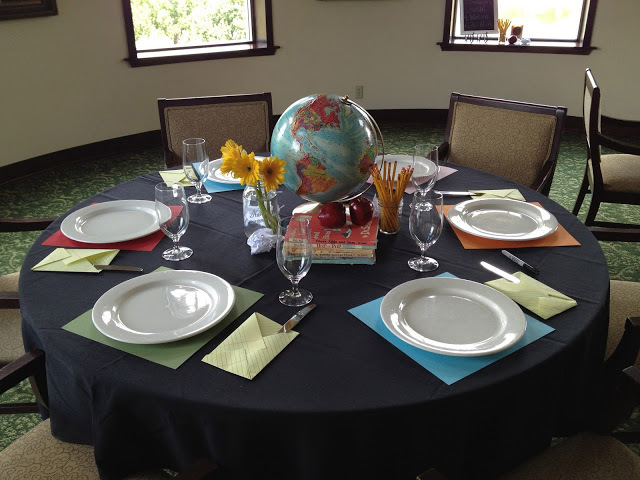 And the Back To School Dinner and Kindergarten Kickoff. 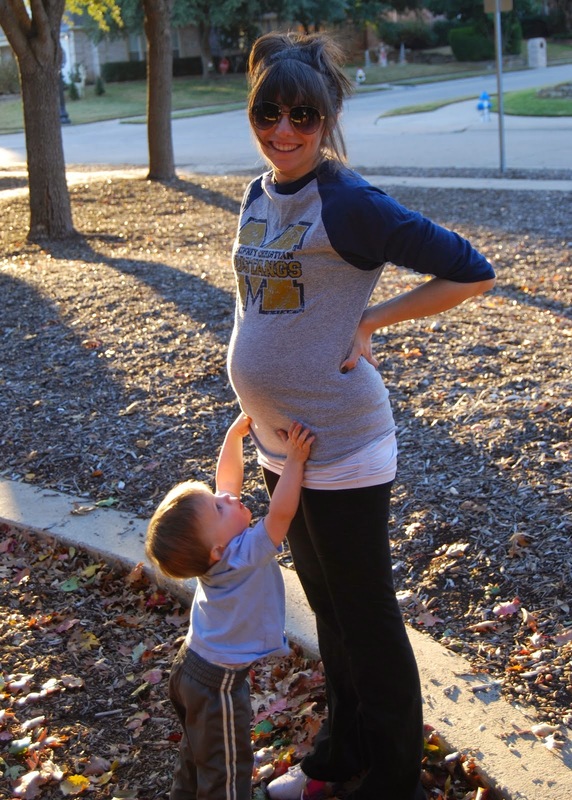 ... and my post about being pregnant was a crowd favorite as well. The post that has blown ALL other posts out of the water (by a long shot) was when I turned it over to my friend Manda almost exactly a year ago. Manda battled cancer as a child and right after the birth of her son in 2009 she was diagnosed again. After having her leg amputated she went through a year of chemo and radiation and then in September 2013 was diagnosed with cancer for a third time. This time last year had "no active cancer" in her body and she shared HERE about lessons she had learned through her lifelong battle with cancer. 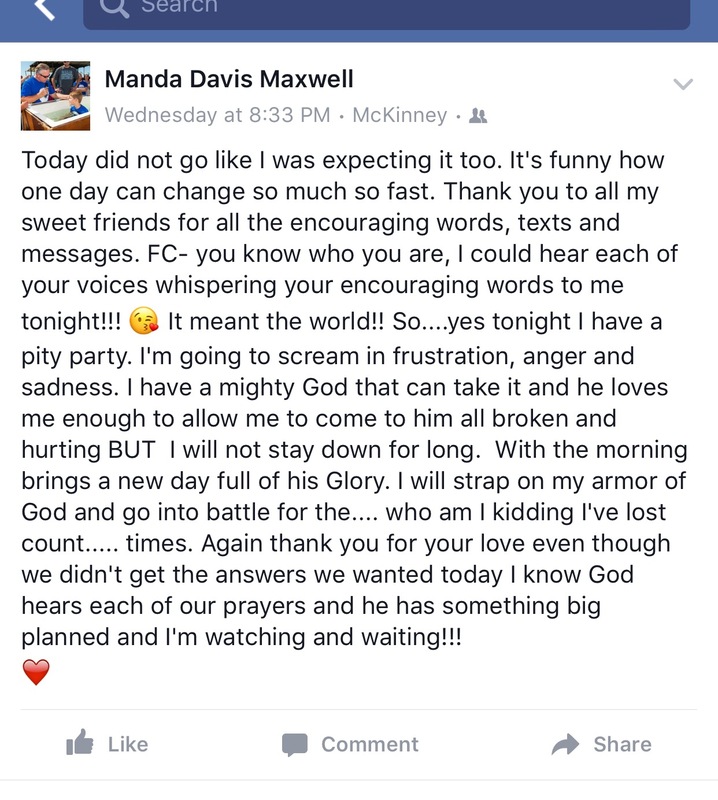 Not long after that post Manda received news that her cancer was back and she began a drug trial. Over the last year she's been part of three different trials, undergone surgery and FOUGHT CANCER LIKE A BEAST! Seriously, y'all. Manda is CRAZY strong! CRAZY! 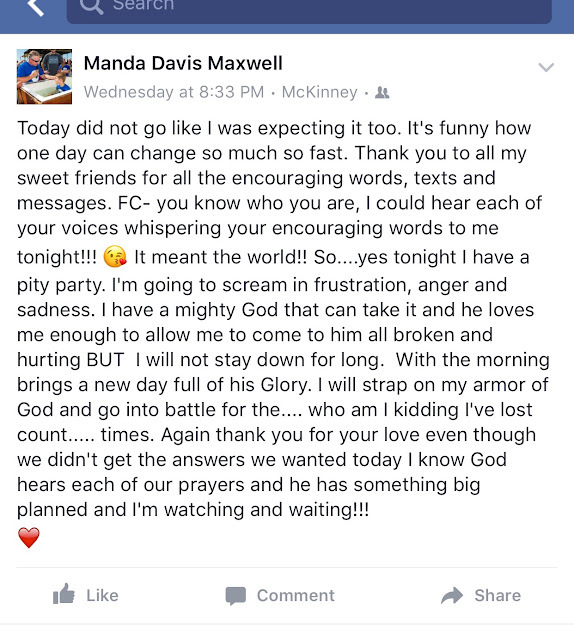 I'm inspired DAILY by Manda's faith and strength and it's no surprise that so many of y'all found inspiration and encouragement from her post last Fall. 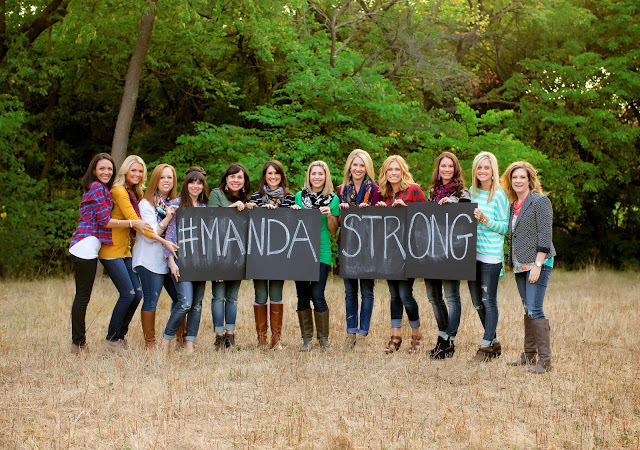 If you don't already - be sure to follow Manda Strong on Facebook for updates on how you can be praying for Manda, her husband Aaron and her precious kids Aiden and Miley. I really enjoyed sharing my FAVORITE blog posts... close to 9 years of blogging means LOTS of memories! Link up below and share your favorites! Your book club posts are my favorites! I love how intentional you are and how much fun you make the every day for your kiddos! What a wonderful look back! And what an awesome thing your kids will have to look back on as well...and their kids...and their kids... Blogging really is an amazing thing! I have loved many of your posts but one that sticks out to me as a favorite is your post about transitioning to having each of your kids- what it was like having the first, then another, then another and what each experience was like. I read that post multiple times before my second was born. It was like therapy for me when I would start to panic that I "couldn't do it!" (My boys are exactly 17 months apart) thanks for the time you put into this blog! Love your blog...so uplifting and sweet. I just watched a video and for some reason (considering I don't know you or the school where you work) it reminded me of your school and something your student body would do. It's about a teacher, Ben Ellis, from Tennessee who was battling cancer (he died this past Friday). You should watch it...while extremely sad, it also lifts my spirit that teenagers would be so kind in his last days. So fun! I'm excited about the first few posts you mentioned since those were before I started reading your blog. I feel like I've seen your kids grow up so much, and I really appreciate you sharing it all online. Love your home tour posts! And how amazing is your friend, Manda!?! 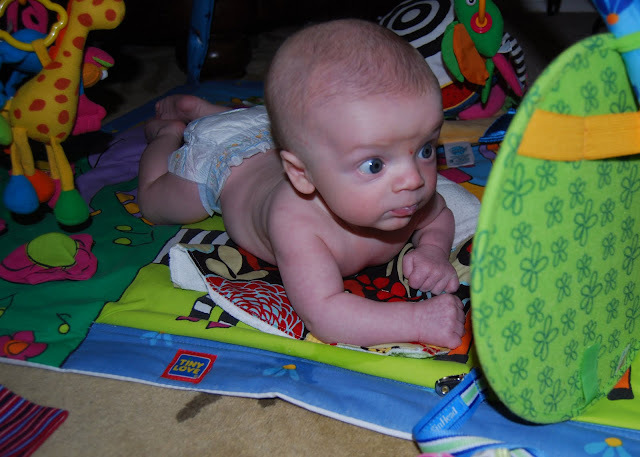 I love your Family Book Club and Home Tour posts :) And that picture of tiny baby Luke. So adorable! I love all of your posts, especially your house tour and day in the life posts! Those are always so fun! I loved Manda's post as well. I read it last year when you first posted, but I just went back and re-read it. She is such an inspiration. Oh, and baby Luke!!!! He looks the EXACT same!! haha. Just spent my entire lunch plus some reading about your pregnancies! Love love love that post! I don't know why reading about other people's pregnancies is so fun to me!